Back Cover: "Clarissa, the young wife of a foreign office diplomat, delights in tweaking the sensibilities of her more serious friends by playing a game she calls "supposing"--imagining a difficult situation and finding out how people would respond. But Clarissa's lighthearted game becomes deadly serious when she discovers the body of an unknown person in her own drawing room. If that weren't bad enough, her husband is on the way home with an important foreign politician. Clarissa decides to dispose of the body and persuades her three house guests to help. But before she can get the corpse off the premises, a policeman knocks at her front door. Now Clarissa must keep the body hidden, convince the skeptical police inspector that there has been no murder, and, in the meantime, find out who has been murdered, why, and what the body is doing in her house." 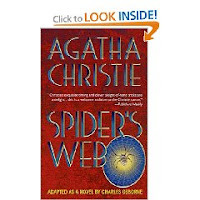 Spider's web is the third play adapted to a novel by Charles Osborne and it is very well done. I thoroughly enjoyed the story and Clarissa's machinations as she got herself into hot water, deeper and deeper. Even when she tells the truth, nobody believes her. The story is humorous along with the twists and turns and I would have loved to have seen the play. I haven't read any of Mr. Osborne's books. 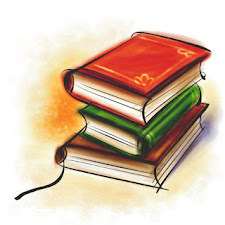 But I will be putting them on my TBR list. I love Agatha Christie, she is one of my all time favorite authors. Thanks for stopping by my place. Have a great day!! Hmmm. I agree that this sounds like fun. I am a long time Agatha Christie fan. You might like to submit this review to the next issue of the Agatha Christies Reading Challenge Carnival.